The best way to make sure your roof lasts is to hire a good contractor to maintain your roof. For example, we can keep your roof in good condition by finding and fixing small cracks and gaps in your roofing system before they turn into leaks. We can also spot vulnerable areas in your roof. Regular roof maintenance will save you money on repair costs and help you get the most of this component of your home. Clogged gutters may not seem like a big deal but they can cause a lot of problems. The clogs will cause your gutters to overflow, which can lead to water seeping underneath your shingles and damaging your roofing system. They can also stain your siding and damage your landscaping. Protect your James Hardie plank siding and your roofing system by cleaning your gutters regularly. Tree branches should be a good distance away from your roof. Tree branches too close to your roofing system can damage your shingles by slapping or scraping against them. During a storm, the tree branches can also fall on your roof. We suggest keeping branches at least 10 feet away. 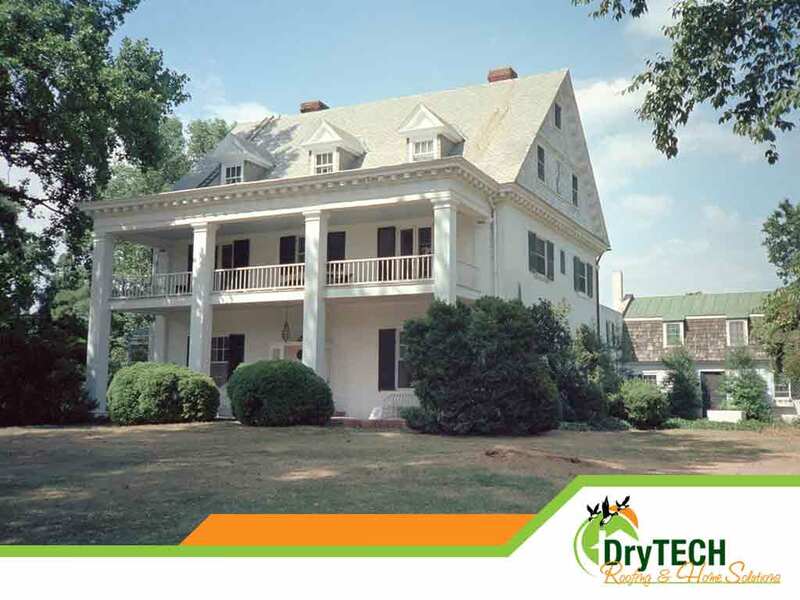 DryTech Roofing, LLC can help you maintain your roof, install James Hardie fiber cement siding for your home. With over 15 years of experience in the home improvement industry, we are fully licensed, certified and insured and hold several Angie’s List Super Service Awards. Call us at (240) 491-5600 to learn more about our services and products or to ask for a free estimate. We serve homeowners in Maryland.